LOS ANGELES (KFSN) -- U.S. Sen. Dianne Feinstein cruised to first place in California's primary on Tuesday in her bid for a fifth full term in Washington. Feinstein's opponent hasn't yet been determined, but fellow Democrat Kevin de Leon, a state senator, is hoping to secure the second spot. Little-known Republican James Bradley is also in the running for second place. California sends the two highest vote getters to the November general election regardless of party. Feinstein heads to November with more than $7 million in the bank. A Feinstein-de Leon general election would be California's second U.S. Senate contest featuring two Democrats. In 2016, then-state attorney general Kamala Harris defeated U.S. Rep. Loretta Sanchez. Feinstein won her U.S. Senate seat in 1992 after serving as San Francisco's mayor and running unsuccessfully for governor. At 84, she is the chamber's oldest member. She's also one of the most well-known politicians in California and has a sizeable war chest to communicate her message. But activists denied her the California Democratic Party's endorsement in February, highlighting frustrations among some of the party's most liberal members about Feinstein's interactions with President Donald Trump and stance on issues such as immigration. De Leon has sought to seize on that vulnerability by making the case that he better represents California's values in the Trump era. 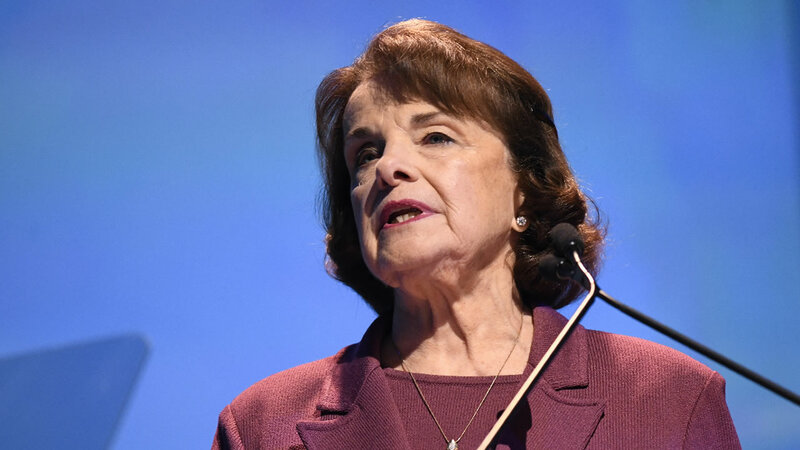 Feinstein, for her part, points to her record of defending California's environment and successful assault weapons ban in 1994 as evidence of her effectiveness. She is the ranking Democrat on the Senate Judiciary Committee. Bradley, the Republican, has raised less than $5,000 but generated some interest after a one-off poll showed him close to de Leon.